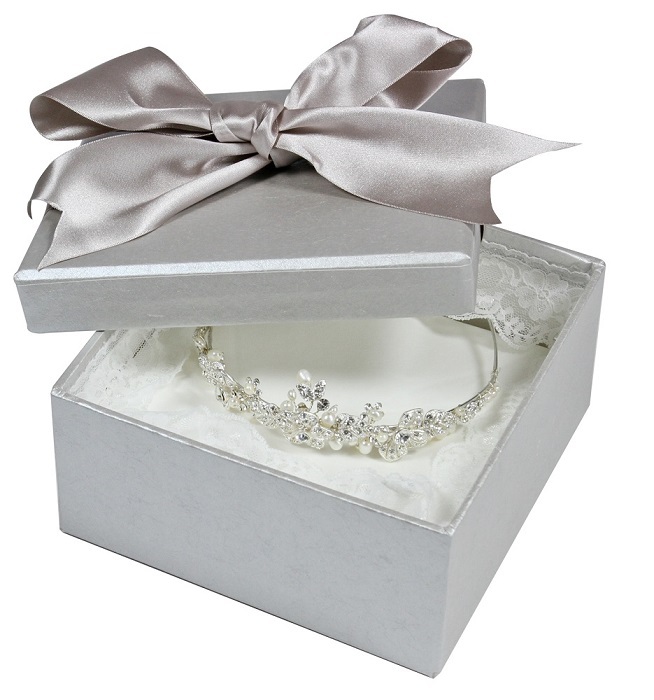 Your tiara will be packed into a beautiful hand made acid-free box in a design of your choice, protected with layers of acid-free tissue. PLEASE NOTE: We do not currently offer tiara cleaning services. This is a packing & storage service only.